The British government through their Foreign and Commonwealth Office are coming to town on an investment trip, the Business Daily reported. 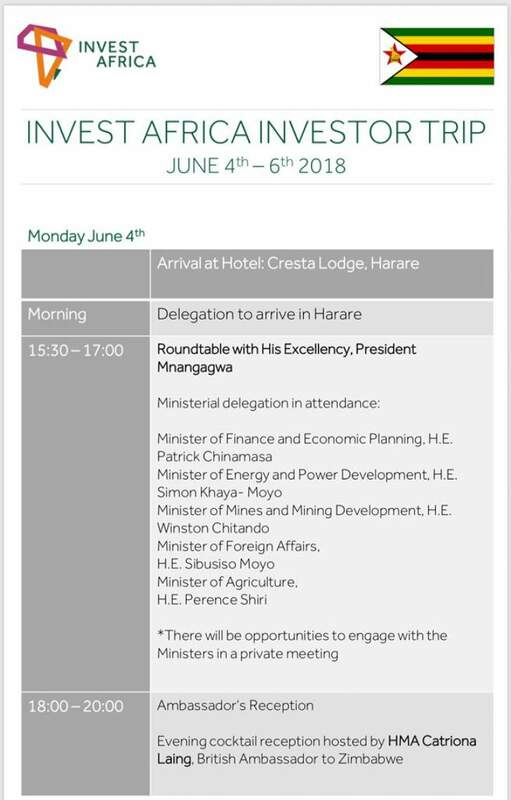 Invest Africa, the leading private sector business platform supporting trade and investment across Africa, said it is delighted to be leading a delegation to Zimbabwe on June 4th-6th. 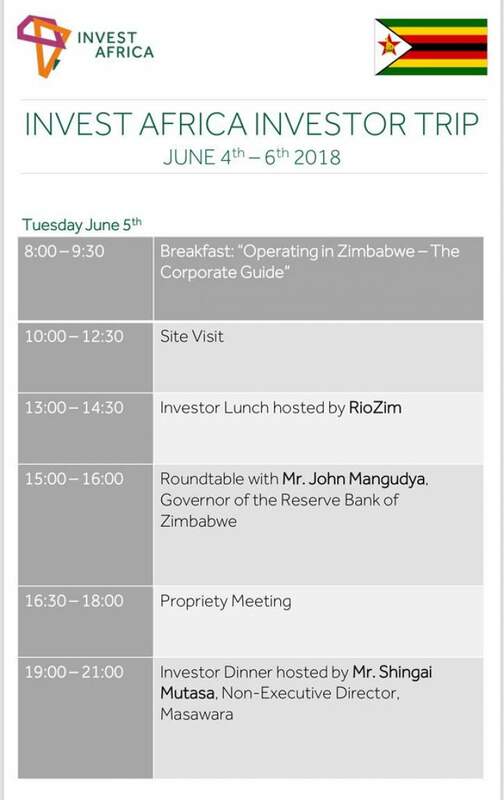 This is a private sector initiative intended to help potential investors better understand the Zimbabwean investment climate, the speed of political and institutional reform and the opportunities for future business. 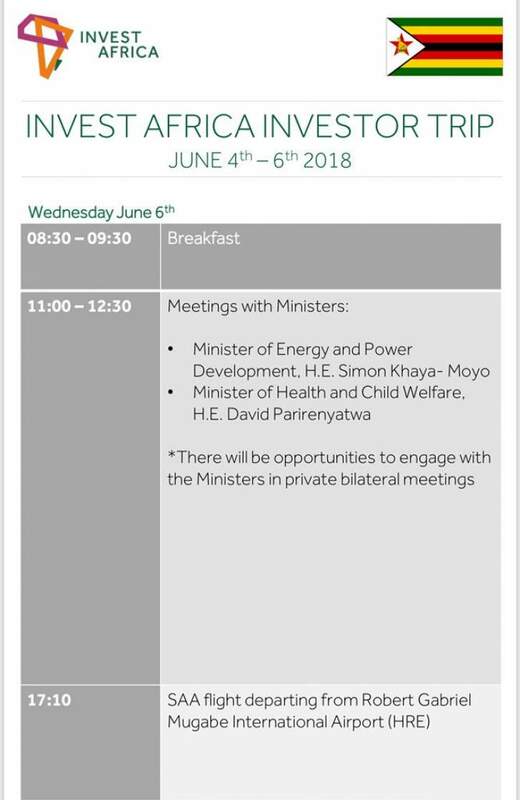 The delegation will be engaging with a range of interlocutors from the government, the private sector and political stakeholders. Below is Invest Africa's itinerary. Commenting on the visit, award-winning Harvard trained Zimbabwean journalist Hopewell Chin'ono said, "These trips are a good sign of thawing relations between the two countries whose relationship goes back to 1897 and even before that. With reforms, many investors will want to see what they can get out of Zimbabwe."